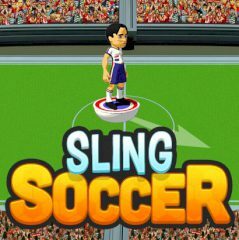 Enjoy soccer game and slide your little football models to get a goal in three turns. Play this unusual soccer game and score goals by sliding with your little football models. Just set the right angle and power.